New Aldermaston Store Officially Open! We are pleased to announce that our brand new Rosebourne store in Aldermaston is officially open following a fantastic Grand Opening Weekend on Saturday 6th and Sunday 7th October. 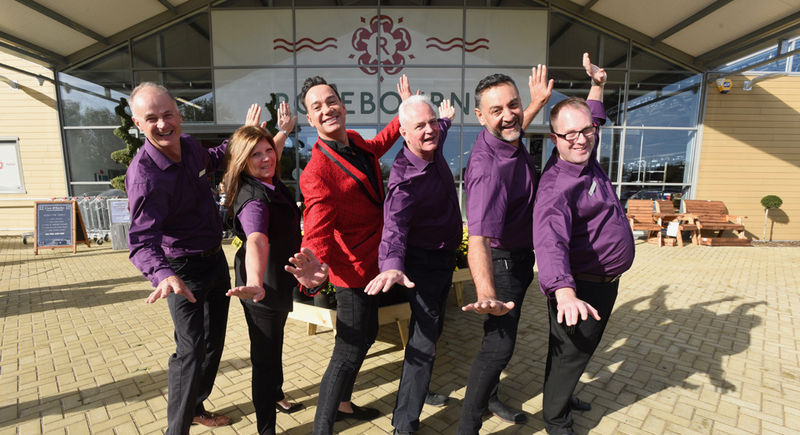 Strictly star Craig Revel Horwood delighted crowds on Sunday 7th October by cutting the ribbon to officially open our newest store. Craig was also joined by 5 lucky competition winners who got the chance to meet him. This was followed by a book signing of Craig’s book, Tales from the Dance Floor – the perfect opportunity for selfies! A huge thank you to everyone who came along to our Grand Opening Weekend. The new store is located on Basingstoke Road on the former home of White Tower Nursery and includes the same great features synonymous with Rosebourne including a vibrant gift department, a fully stocked garden nursery, table service restaurant and a food hall packed with fresh, seasonal produce from local suppliers. Interested in working at our new store? See our current job vacancies and apply online here.